Trying to Sell Your Home When There Are Too Many Repairs? There’s no doubt in the fact that selling your house is quite a tough affair when it comes to receiving a price value that you find right for your property. Things can get even more troublesome when the house calls for too many repairs as it already is a costly and time-consuming deal to handle all those heavy realtor fees, marketing costs and much more. 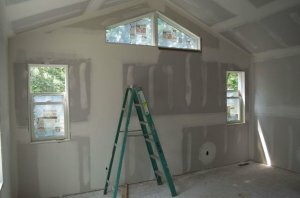 If your house needs a major amount of work and alterations before it’s apt and appropriate to showcase to potential buyers, then it can be a huge menace to get it all done. It’s hard to decide whether it would be favorable to sell the place as-is or go for fixing up the place. At times, one may go for making the required alterations and renovations, which in turn may lead to the actual costs increase to an amount that one doesn’t find favorable. Here’s a detailed guide that explains How to Sell a House Fast When There Are Too Many Repairs? A little deal of renovation, including paint jobs, floor repairs and other small changes surely works wonders for getting a maximum-value sale. However, sometimes it gets significant to make major repairs and correct structural defects, thereby leading to a great deal of investment. When looking forward to sell your house fast, you must consider to inspect the required repairs as most potential buyers don’t agree to paying the demanded price with a doubt that everything may not be in its perfect condition. So, some people go for hiring contractors to make the repairs without spending too much on the same as most contractors take the responsibility of handling minor damages and small renovations. But, the drawback of the same is the ugly transformations that those houses end up going through, ranging from bad renovations and unappealing alterations, such as pipes running through the hallways rooms, poor flooring and unsightly settings of the rooms. The fact that this leads to the buyers being offered with bad floor plans, poor color themes, and an out-of-trend re purposing of the space makes the property appeal to less and less buyers, thereby staying for sale for longer duration. Apart form the longer wait times between the property listing and actual sale, going for contractors to sell a house that needs many repairs comes with a steeper price tag. Even if a contractor brings out changes in your property that are not only visually appealing, but also efficient and durable – it is going to cost you thousands of dollars before the house actually hits the market. Going for a realtor is another option to sell your San Antonio home without making any repairs, but getting that done fast with is almost impossible of a task for even the most experienced estate agents. If your house needs repairs, realtors advise you to ask for a lower price to reduce the time your property stays in the market for. A longer stay in the market eventually ends up in the owner paying more on different taxes and amenities of the house. However, most realtors are only concerned with selling the house and getting the payments, instead of selling it at the best price possible. Apart from that, one needs to bear several expenses when using a realtor. It includes the money spent on commissions, fees and more. In fact, ditching the idea of a realtor for selling your house may save heaps of dollars. The best solution to selling your house super fast, that too without spending any unwanted amounts on repairs is to consider going for a cash buyer of houses. Not only is this a simple solution to getting it all done, but also equally stress-free while not requiring any extra paperwork and supervisions. Oh yes, you don’t even need to worry about your property staying for a long time in the market or face complications that arise due to third-party affairs. No matter how unusual it may seem to seek the services of a cash buyer, it actually is a rapidly growing medium in the current property market. Going for a cash offer will cut a number of troubles you may otherwise go through when trying to sell your house fast with too many repairs. The fact that cash house buyers have got a faster close to offer has got its credits going to skipping the entire mortgage process. Plus, you don’t need to engage in bank transactions when selling to a cash buyer, thereby closing the sale and receiving payments within a period of 7 days instead of month long ordeals that are associated with bank involvements. 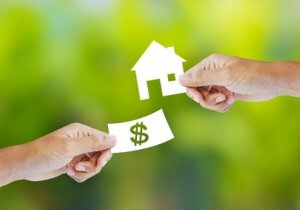 Another added benefit of choosing cash buyers for selling your property is a greater stability as they are pre-approved before they make any proposal to purchase your home. Cash buyers are willing to purchase your home unaltered and you don’t need to worry about fixing any repairs, updating old interiors or structures around the house, or even making sure that your house attracts the interest of potential buyers. Also, cash buyers will offer you with the maximum value that your home deserves to be sold at. It surely is a wonderful idea to go for a cash buyer to sell your home and avoid any expensive renovations, realtors and contractors. We are here to offer you with great security and the best value for your property, without compelling you to settle for an amount lesser than what your house deserves. We buy houses throughout San Antonio, Texas, aiming towards getting you a totally no-obligation and quick cash offer for the house. Although, our expert team is always there to assist you in making the decision to sell your house, you are simply not required to accept our cash offer if you don’t find it satisfactory enough. All you need to do is to give us a call and we will explain the whole process to you in detail, as well as fix a meeting with you as and when it suits you. We are more than glad to purchase your house as-is for cash. WE BUY HOUSES FOR CASH IN SAN ANTONIO! CALL US AT (210) 547-7505!